Do people really know what the word organic means when referring to food? I will be honest and say that if you had asked me that question over 10 years ago, I wouldn’t know the definition of the word organic as it refers to food. Growing up as an Allergic Halal Foodie in New York City, I never saw or heard this word for food items. 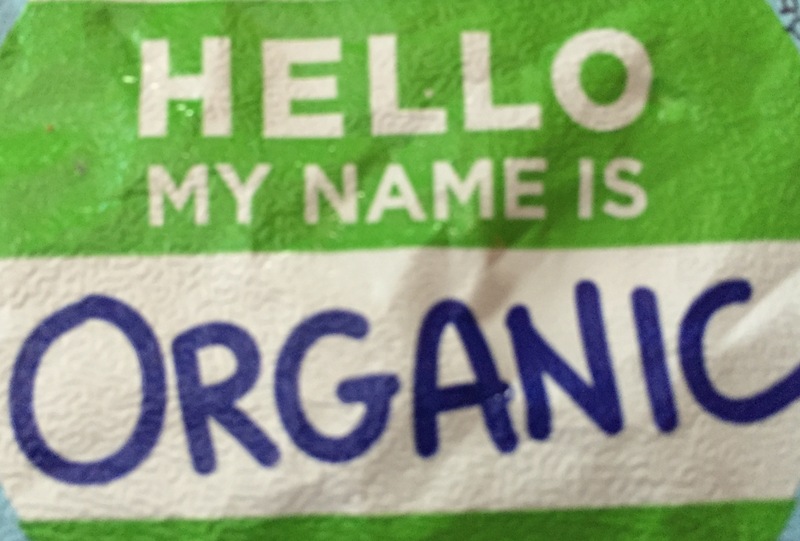 Actually, the first time I heard the word organic was when I was an undergraduate in New York studying organic chemistry. I never made any positive association with this word because the organic chemistry class had a reputation of being the hardest science class for aspiring medical students. I actually had an aversion to the word because of this preconceived notion. Ultimately, I receive an A- in the organic chemistry laboratory and a very bad grade in the organic chemistry lecture. I guess my Allergic Halal Foodie lifestyle spilled into my academic life as I liked synthesizing materials in the laboratory, yet despised sitting through a lecture that didn’t produce anything tanglible. At the time, I did not see how this word fit into my life with food. Fast forward to today and I still don’t see how this word fits into my Allergic Halal Foodie lifestyle. 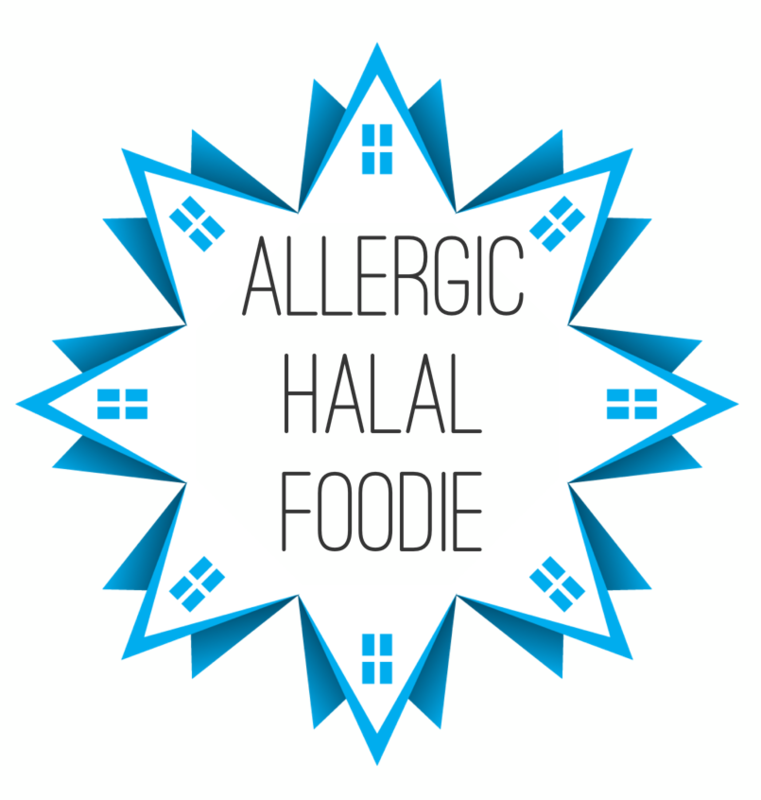 However, others seem to think it is very applicable to an Allergic Halal Foodie’s lifestyle. Every time I eat outside of my home and ask about the ingredients, the first response is typically “it is organic” or somehow the word makes it into the conversation. People easily use this word and seem to associate it with allergic or halal. As if organic food satisfies the diet of an allergic person or one who only eats halal foods. Strangely, this same association isn’t made with the Foodie label. I guess folks assume that a Foodie will eat everything without asking questions. This couldn’t be farther from the truth and it is also insulting. Organic food is food (or livestock) that hasn’t been grown (or raised) with modifications, pesticides, or additives. It is great for those who are conscientiously choosing to eat healthy foods. However, organic means nothing extraordinarily significant to the allergic individual, halal food only individual, or foodie individual. At the end of the day, organic milk is lethal to the highly allergic person and organic pork is haram for a Muslim. How do you explain your dietary restrictions in a concise way without feeling like you’re defending your dissertation? I have a few handy phrases to share. “Vegan, but I eat meat.” This says you’re dairy free, fish free, egg free, and seafood free. This statement doesn’t exclude the peanuts and nuts. In the event that there is food present that you want to eat, you can always ask if those are present. “I am allergic.” This encompasses so much and usually doesn’t require much explanation. Unless someone asks for specifics, you’re usually left alone once you make that statement. This one also works if you’re not interested in the food that is being served and it is a manner in which you can politely decline. Warning: this statement can also mean “leave me alone”, “don’t feed me anything”, or “I will see what I can eat.” Sometimes a New York attitude tends to come out with this statement. “I only eat halal.” This means that you have some dietary restrictions. Most people will interpret this statement as only excluding pork and alcohol. Nonetheless, the “buck will stop there” since most people avoid any topics surrounding or about religion. Unfortunately, the opportunity to further explain a halal diet is typically lost.